Portable Bidet Bowl With Soap Dish, Fits Most Toilets. We are very pleased with this purchase. I have had and used a bidet fot many years. We have just moved to a small house and there is no way we can fit a bidet in our bathroom. This has been an excellent solution. 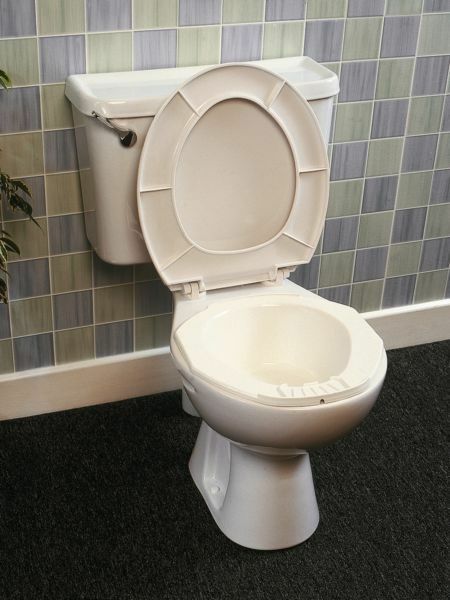 It is sturdy, fits the toilet and is easy to clean. It arrived when we were told it would, very pleased all round. Absolutely excellent piece of bathroom equipment if you do t have the space for a bidet. If you want to feel fresh in the morning or before bed but just don’t have time for a shower this is great! I would also recommend for people who regularly suffer urinary infections and also for those who are bedridden too and use a commode but for whom washing hard to reach areas difficult or indeed carers. I find this item very useful and practical for my personal hygiene, even take it with when on holiday!